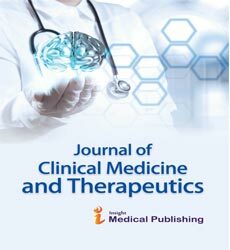 Journal of Clinical Medicine and Therapeutics publishes original research articles of outstanding medical importance. We will consider manuscripts of any length; we encourage the submission of both substantial full-length bodies of work and shorter manuscripts that report novel findings that might be based on a more limited range of experiments. Publishing with open access is not without costs. Journal of Clinical Medicine and Therapeutics defrays those costs from article-processing charges (APCs) payable by authors onces the manuscript has been accepted for publication. Journal of Clinical Medicine and Therapeutics does not have subscription charges for its research content, believing instead that immediate, world-wide, barrier-free, open access to the full text of research articles is in the best interests of the scientific community. The manuscript, as well as all subsequent revised versions, should be submitted in an unique file arranged as follow: Title page, Abstract (if required), Text, References, Tables, Figure legends, and Figures/Images. Please do not submit this material as supplementary files, therefore figures/images and tables must be inserted inside the manuscript file after the Reference list. Journal of Clinical Medicine and Therapeutics can make their source data, reports of statistical analysis, as well as any other materials that they judge important, freely available to the scientific community. Source data. Journal of Clinical Medicine and Therapeutics strongly invites authors to supply the database of all cases and variables described in the article to be published together with the manuscript. Provide a concise title. List the full names of the author(s) and indicate the institutional affiliation (if more than one institution is involved, indicate individual affiliation by means of a superscript Arabic number). List 3 to 10 key-words (they must be terms from the medical subject headings - MeSH - list of the Index Medicus: (PubMed MeSH Browser). List nonstandard abbreviations used, with their expansions, in alphabetical order. Acknowledge personal assistance and providers of special reagents and list grants and other financial support. Complete institution, address, telephone and fax numbers, as well as e-mail address, of the corresponding author should appear in the title page. Express opinions on current topics of interest. Editorials are usually solicited by the Editors but they can also be submitted for peer-reviewing. The text may be structured according to the Author's preferences. A brief Summary of 250 words or lessshould be included. Figures, Tables and other Multimedia Materials may be included. The title must not exceed 200 characters including spaces. Avoid non-standard abbreviations in the title. Apply capitalization. Authors’ full name (capitalize the first character only) should precede the middle initial (uppercase) and the full last name (capitalize the first character only). Indicate the Name, Town, and Country of the institution(s) where the scientific work was undertaken. Do not underline any word in Title, Authors’ List and Institution. The body of the abstract must be structured as follows: Context, Objective, Methods, Results, and Conclusions (for case reports: Context, Case report, Conclusion). Heads of the sections should be type in Bold Font followed by space and the text of the section. (Sentences such as “The results will be discussed... ” must be avoided).